300 quick, easy and simple chicken recipes. 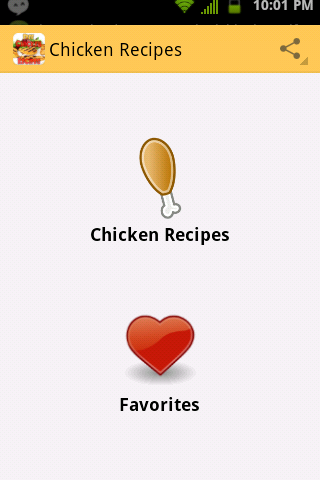 With this app you'll never run out of chicken recipe ideas! Recipes for all different type of chicken, fried, oven baked, breaded, grilled, roast, barbecued, you can even make asian style chicken like orange chicken. Like curry? 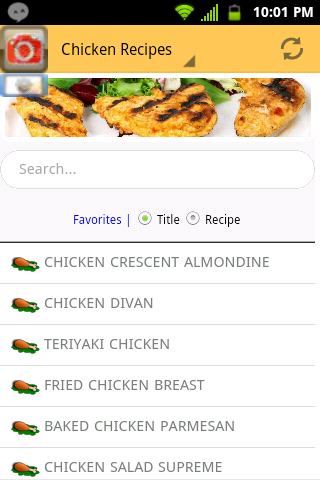 Well we even have curry chicken and rice recipes. Best chicken recipes whether your cooking it for breakfast, lunch or dinner. On a diet? 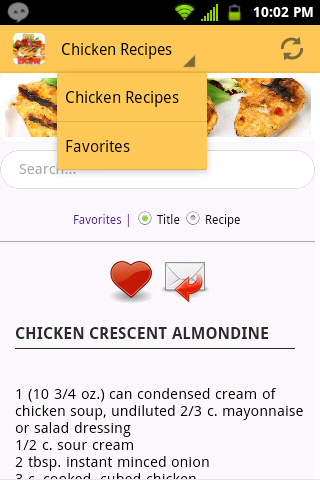 Well find healthy low calorie and low fat chicken recipes here. These recipes are great for almost every part of chicken, whether it be, whole, boneless skinless breasts, drumsticks, wing, thigh or leg. Some examples of yummy and delicious recipes that you can enjoy: CHICKEN DIVAN CASSEROLE 20-MINUTE CHICKEN PARMESAN BUFFALO-STYLE CHICKEN WINGS SWEET AND SOUR CHICKEN WINGS CHICKEN ALMOND CASSEROLE So good that even your kids will enjoy them. Included is: • Search Feature. • Favorite Feature. • Email Feature To Share.